If you’re a Huntsville native then I am SURE you’ve heard of The Purple Peanut and if you haven’t heard of it then I’m glad that you are reading this post! 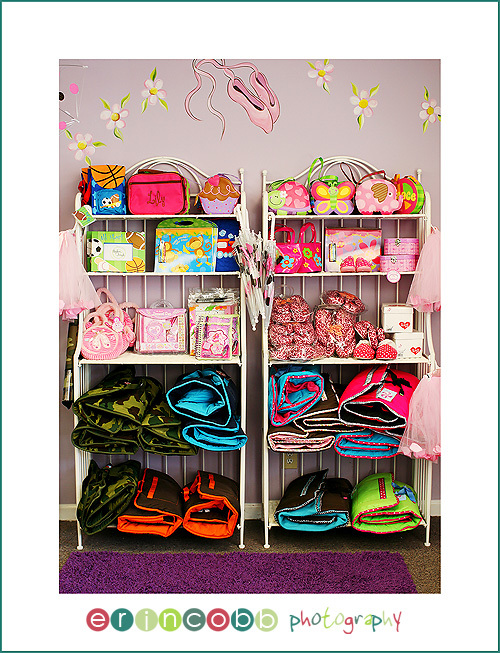 The Purple Peanut is a children’s specialty store in the heart of Huntsville, sandwiched between Whitesburg and California Drive. Owner Alicia Fox and her mom have been running The Purple Peanut for over 30 years and their reputation exudes that. 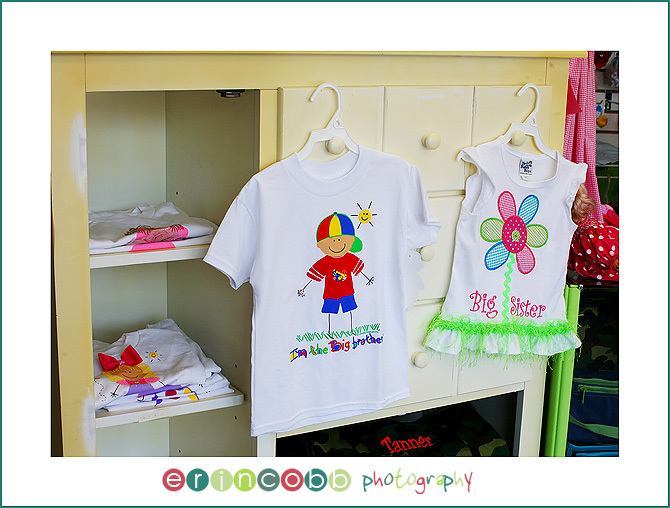 They have a fantastic variety of clothes for both boys and girls. 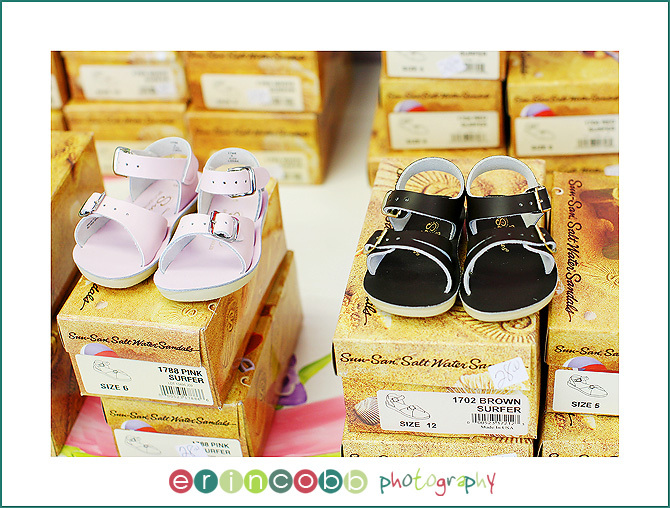 They also carry several hard to find brands of shoes like: Sun San Saltwater Sandals, L’amour, Squeaky Shoes, Angels, Puddle Jumpers and Bobux. You may not know this but The Purple Peanut also has a gift section that is perfect for birthdays or for just little happy prizes! For this week only when you buy 4 bows at The Purple Peanut you will receive 1 free if you mention that you read about them from this post! For that matter if you pop in be sure that you tell them that you read about them here. They also have their winter section on sale for 50% off!!! Be sure to follow them on Facebook so that you can stay connected and learn about all the new items coming in! And now for the part that I am super excited about…… A gift certificate drawing!!! The Purple Peanut is giving away a $25 gift certificate here on the blog!!! All you have to do is comment on this post and we will be drawing for it at 8pm Central on Sunday March 27th. Good Luck! Ann Marie Duvall – Love, love this store!!!! And love your posts Heather, and of course love Erin too!!! Kelly – The Purple Peanut has been one of my favs for years! Would love to win a little free money to spend in there!!! Elizabeth J – We love the Purple peanut…such cute clothes! kristi w. – We love Purple Peanut! from The Purple Peanut. Adorable store! Laurie – I love the Purple Peanut! Such a cute store! Laurie – I love the Purple Peanut! Super cute!! Laurie – I love the Purple Peanut! Super cute! Krista Hunter – The Purple Peanut is my all time favorite! I love their selection and the staff is so friendly and always ready to help!! Sarah Ashley – We love purple peanut and have gotten several outfits, shoes, and things monogrammed for Max. liz – Looks like a great store to find something for my sweet grandbabies! 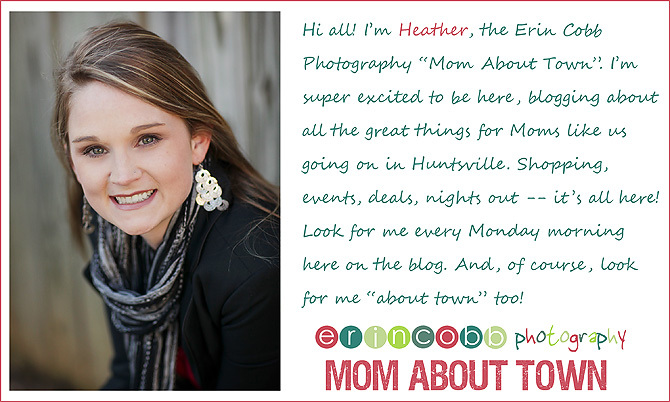 Martina Penter – We just moved back to Huntsville 3 months ago! I’m still trying to figure out what is what so I’m glad you posted about this fun store! dena Schrimsher – heather!! i love your blog! great job! Fleta D. Lawson – Love Purple Peanut. My daughter has helped keep you in business ever since my grandaughter came into this world. Anna W. – My little girl is due in May, so I’m so excited to check out this adorable store! Thanks for the wonderful information. Emily H – Would love to win!! 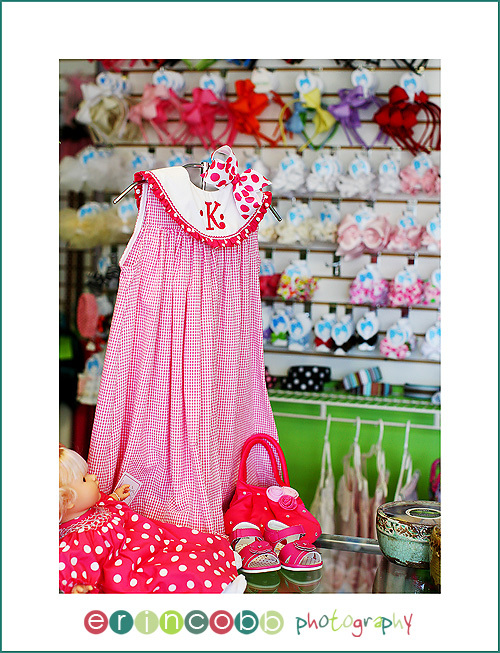 Vanessa – The Purple Peanut is the best store in town for children’s clothing and birthday gifts. A day hardly goes by when my daughter isn’t wearing something from the “Peanut”. She even knows the smell of items from there and can tell when I’ve been shopping. We love the “Peanut”! Amy in AL – LOVE the Purple Peanut! Have shopped there since before our kiddos were born! Carol – Sounds like a fun place to shop!!! Sandy – Thanks for reminding me about the Purple Peanut. I haven’t been there since Alexander was teeny tiny! Karen – Believe it or not I have never been there.. I would love to use a gift card at my first visit… Loved the post! Mandy – Great place! Pick me! Tonia Willmon – Cute Clothes! Jessica Nickens – I love love love the Purple Peanut! 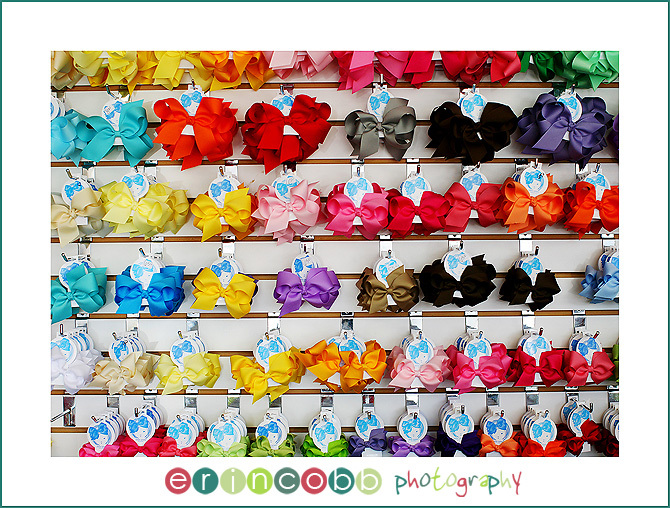 Natalie – What a cute little shoppe, I always want to stop by but never get a chance. Amy – I don’t suppose this give-away is for out-of-towners? I would love to grab an outfit or two from here! Nikki – Love those sandals! Gonna need to visit soon! LizN – we love the monograms over here in LA, too, y’all! Victoria Hall – WE LOVE THE PURPLE PEANUT!!!! Christina – I love the Purple Peanut! Emily B – I love the Purple Peanut. Was just in there this week. Would love to win a gift certificate. I just love how it smells in there too! Rebecca – I love the Purple Peanut & I don’t even have kids!!! But I do get cute gifts there for all my friends little ones! Tracy – I really need that gift card! I’m always getting things there for my girls. elizabeth – alicia and the purple peanut are top on my list. 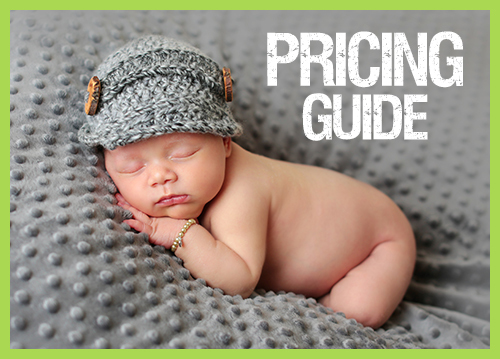 as a new mom,of an almost 3 month old, this blog is surely to come in handy! thanks erin and heather! I meant to say I wish I could shop on-line at the Purple Peanut, I have found the right site. Sorry for the blurp – LOVE you Purple Peanut……! 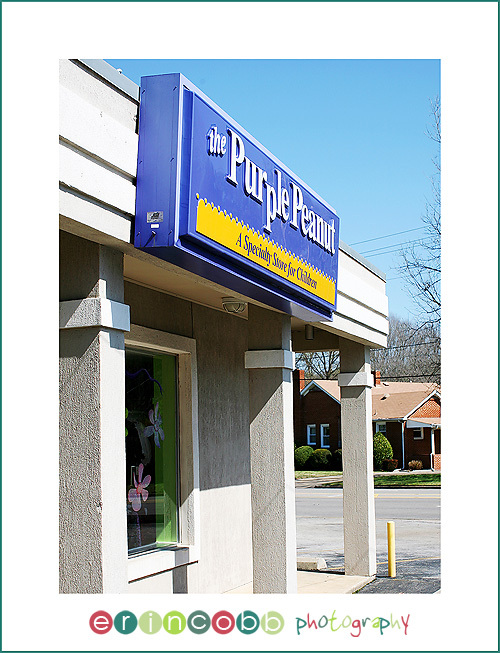 Kathy H – I began shopping at at Purple peanut when my Daughter, now 30, was a baby. Now I’ve rediscovered it with my grandaughter. I love the adorable clothes. Its so easy to find the cutest things there. Laurel – Love the store! Great selections and sweet employees! Jennifer – I love The Purple Peanut!!!! Would love to win the gift cert. Alvairs “Al” White – I bought dresses from you when my daughter was a little girl and now she is buying for her little girl.Have always loved your store. Dale Hopper – I shopped at Purple Peanut when my children were small and now I still shop there for my grandchildren. Love the store!!!!! Emily Bynum – I love the Purple Peanut! A gift certificate sure would be great when I purchase my daughter’s Easter dress!! Julie Kimberly – Love this store! I have twin girls coming in the next few weeks and they already gave some cute outfits from here ;)! Armida – Surprisingly revealing many many thanks, I do think your readers may well want further blog posts such as this carry on the good do the job. Jessica – I have never been in the Purple Peanut! Would love to win the gift certificate!